Paper folding is an ancient art with a rich and varied history. 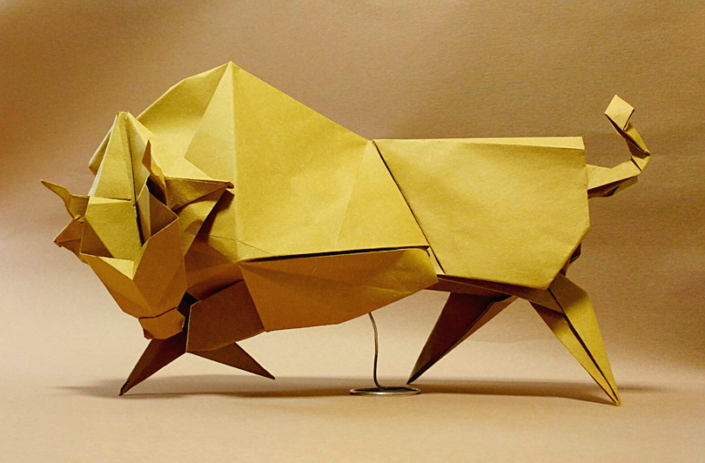 Talented individuals can transform a single sheet of paper into shapes representing animals, plants and other objects. Often called “origami”, after the Japanese term for paper folding, the craft emerged as a pastime at different times in different places and is known by many names around the world. To Jaeil Jeong, paper folding is known by its Korean name: jongi jeobgi*. The young Samsung employee has a particular flair for the craft; having dedicated countless hours to honing his talents, he brings the flatness of paper to life in three dimensions. Like many people, Jeong was introduced to paper folding when he was a child. It all began when his parents brought home a paper folding book and the young Jeong was quickly enthralled with the creations inside. But while many lose interest in their childhood hobbies, Jeong has continued to refine his art, even going on to design his own shapes. For Jeong, paper folding is not only a fun hobby, but also a retreat from life’s complications. 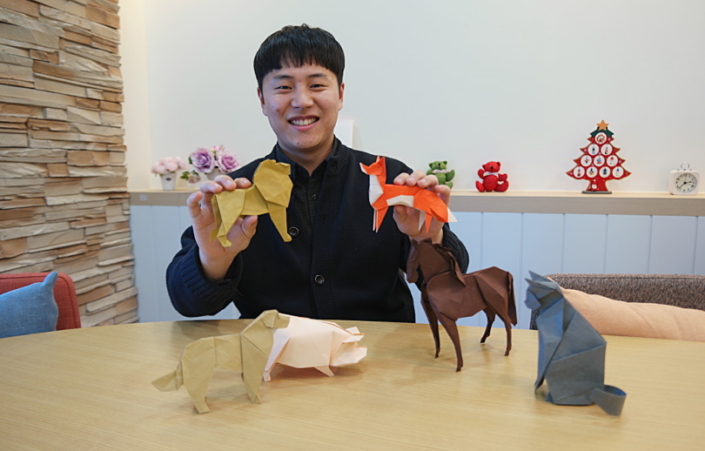 In 2015, Jeong registered for the 2015 Global Creative Jongie Jupgi (Paper Folding)* Contest, an international paper folding competition held by the Korea Paper Culture Foundation, which gave him the opportunity to showcase what he loved. After working on his project for half a year, he received a phone call. The contest challenged Jeong to embrace another style of paper folding. Before the contest, his folding was more “freestyle”, with fewer set rules. Jeong has since discovered the advantages of a more structured way of folding. 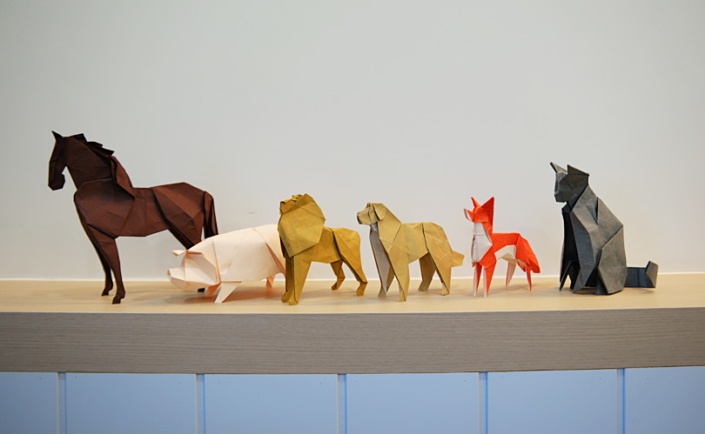 For more information about Jeong’s paper craft creations, visit his photo stream at: https://www.flickr.com/photos/143234267@N08. * Both Jongi Jeobgi and Jongie Jupgi refer to the same Korean term – 종이접기 – which means ‘paper folding.’ The former is how it is spelt according to the standardized Romanization of Hangeul (the Korean alphabet); the latter is how the Korea Paper Culture Foundation spells the term in English.